Planning you first time in Berlin? If you’re researching online, chances are you’re feeling a little overwhelmed by all there is to see. So many attractions, sights and things to do, and in so little time. Worry not, dear traveler, for we’ve gathered the best must-see places and activities in Berlin for you. Whether you want to visit museums, learn about the city’s rich history, want to hang out with local Berliners or get to grips with the city’s alternative art scene and sub-cultures, you will find plenty of ideas on our list. 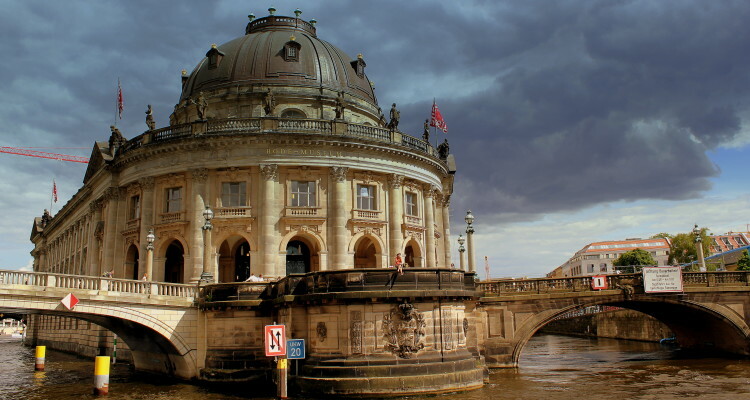 If you like museums as much as we do, you cannot miss Museum Island (or Museumsinsel in German). A UNESCO World Heritage Site, the small island on the River Spree offers five of the best museums in Berlin; the Altes Museum (Old Museum), the Neues Museum (New Museum), the Alte Nationalgalerie (Old National Gallery), the Bode Museum, and the Pergamon Museum. Each museum is home to a wealth of significant artefacts from all around the world. Some say it is possible to see ALL five museums in one day; if you are up for the challenge, we recommend you get a 24-hours-pass ticket online, so you can skip the queues, saving precious time and money. Free Walking Tours are the best way to learn all about Berlin in a short period of time and to do so on a budget. 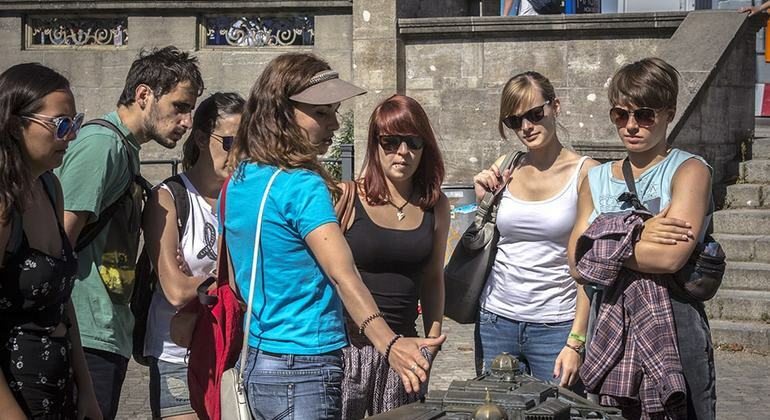 There is lots of choices when it comes to free tours in Berlin, with many focusing on a particular theme or topic, such as a Third Reich tour, for example, which introduces you to the rise and fall of the Nazi regime and the heart-breaking stories of victims and survivors of the Holocaust. 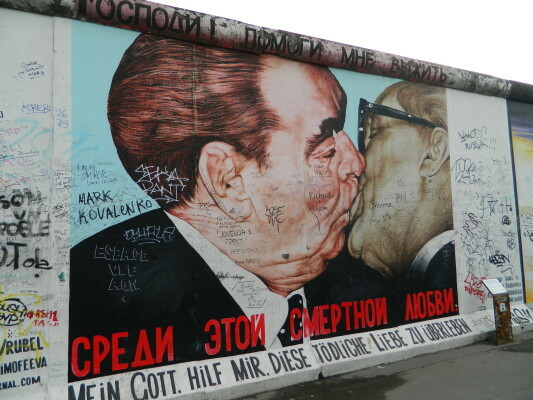 A Cold War free walking tour will take you through the fascinating era after the Second World War, revealing the stories of occupied and divided Berlin and the people who lived here during those turbulent decades. 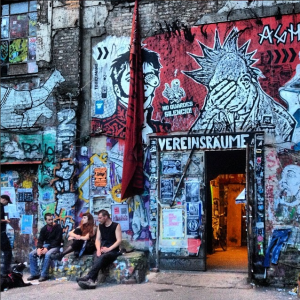 If you’re into alternative art, you might venture along on a free alternative Berlin city tour to discover local sub-cultures, urban street art, unique views and fascinating graffiti. While there are as many types of city tours in Berlin as there are facets of history and culture, we highly recommend joining a general free tour on your first day in Berlin as it is, without doubt, the best way to get orientated with the city, get an insightful overview to local history and culture, ensure you cover many of the must-see sights and sites, and get excellent local insider tips from your tour guide that will make the rest of your stay in Berlin ‘super geil’. Most general free walking tours will stop at Checkpoint Charlie, the Brandenburg Gate, the Reichstag and Tiergarten, the TV Tower, the Berlin Cathedral and many other interesting and historically important places. Whichever tours you decide to do, make sure to book online first to secure your spot, and enjoy exploring Berlin with quality local guides and fellow travelers. Get the Free Tour app for Android and ios to easily book budget and free tours, activities and experiences worldwide without booking fees or charges and get instant booking confirmation. The 1,3 meter long East Side Gallery, the largest remaining portion of the Berlin Wall, is equally significant historically and artistically. Now the longest open-air gallery in the world, the remains of the Wall that once divided East and West Berlin became an open canvas for artists, with over a hundred artists from around the globe contributing murals on the east side of the Wall. These paintings are political statements and socio-cultural narratives of 1989 and 1990. We recommend spending a couple of hours to see every piece, there are plenty of amazing photo opportunities along the gallery too. The East Side Gallery is open year-long and is free. Do yourself a favor and wind down after a busy day, and prepare for the exciting nightlife, by catching the best view of the Berlin cityscape at sunset. Do what Berliners do and have a beer at Klunkerkranich, the immense rooftop bar on the top Neukolln Arkaden shopping mall, and enjoy the beautiful panorama. It’s not easy to find (take the elevator to the 5th floor and follow the locals through the car parking lot), but it is definitely worth the trouble. There is a small entrance fee to the bar, but again, it’s not much for the scenery and the atmosphere that the bar offers. The view of the city is spectacular and unmatched from this location. You can take countless beautiful photos of the city while drinking nice local Berlin beer and even dinner. Speaking of high-rise views over Berlin, the TV Tower rises over the city and offers a very unique vantage point, both day and night. It was built between 1965 and 1969 and stands proudly in the centre of the city near Alexanderplatz as the best-known symbol of the city. With more than one million visitors every year, the 368 meters tall TV Tower is one of the most visited places in Germany – not to mention probably the most photographed building as well. 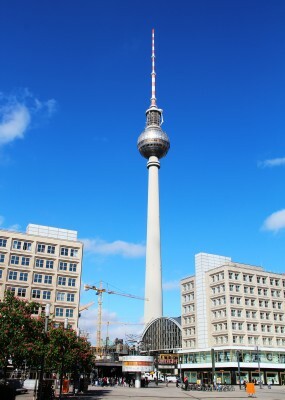 The Television tower houses an observation deck, the Panorama Bar and the revolving Sphere Restaurant. They are remarkably popular places, so make a reservation before arriving. You can have a nice meal and a drink or two while enjoying the spectacular view of Berlin. 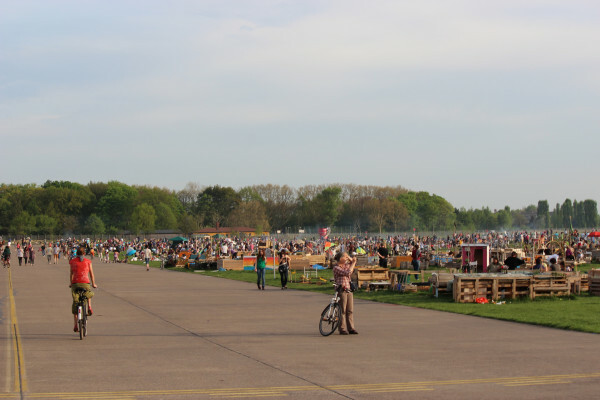 What used to be Tempelhof Airport is now a popular park among Berliners and tourists alike. The old airport closed in 2008, leaving more than 300 hectares, to the public who flock to the enormous park daily to relax or partake in fun activities; you can walk, jog, cycle, skate, fly kites, walk your dog, and so on. It’s a beautiful location to watch the sunset, meet other travelers and local Berliners and make new friends. It is one of the most popular places for a picnic or BBQ and a beer. There are also plenty of nice restaurants, cafes and ice cream shops to satisfy your taste buds. Getting to Tempelhofer Feld is pretty easy, just take the S or U Bahn to Tempelhof station or the U Bahn to Paradestraße station, and then walk a few minutes. You can’t miss it. Just look UP and follow the kites on the sky! Berlin is one of the most compelling and fascinating cities in the world, so it is hard to pick just a few places to visit and things to do. If you do have limited time, join a walking tour to get the vibe of the city and see many of the must-see attractions. Most city tours in Berlin take only three hours, with a break, but you’ll pack a week’s worth of sight-seeing in and learn a great deal about the city. No matter how much time you spend here, which places you visit, Berlin will leave you amazed and wanting to return, because one time in the German capital just simply is not enough, it might be your first time in Berlin, but surely won’t be your last!